Wednesday's news in under 5 minutes. 1. 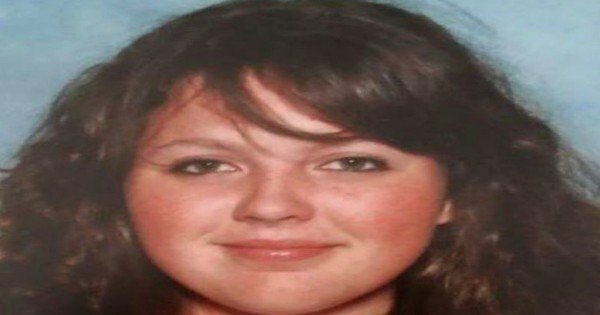 Daniel James Holdom seen with Khandalyce Stevenson in the days after her mother was killed. Two months after being charged with the murder of her mother, Karlie Pearce-Stevenson Daniel James Holdom was charged yesterday with the murder of Khandalyce Stevenson, 2. The remains of Khandalyce were found in a suitcase dumped on the side of a South Australian highway near Wynarka, east of Adelaide, in July this year. 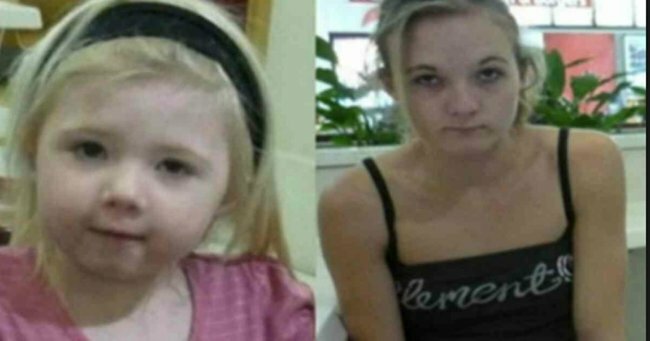 Police allege that Holdom killed Khandalyce while on the way to South Australia in the vicinity of the small NSW town of Wallaroo some time between 2.17am on December 19 and 12.52am on December 20 just days after killing her mother. News Limited reports that witnesses saw with a man with Khandalyce several days after he had allegedly killed her mother. “All the details will come out in due course,” he said. Meanwhile the Adelaide woman questioned over the murders and over the use of the bank account of Karlie Pearce-Stevenson has said that she will face no charges over the killings. Police have previously said a man and at least two women “have been responsible for financial transactions” involving Pearce-Stevenson’s bank account and Centrelink payments in the years after her death. 2. Teenager accused of killing Jayde Kendall back in court. he QLD teenager accused of killing schoolgirl Jayde Kendall is due back in court today. The QLD teenager accused of killing schoolgirl Jayde Kendall is due back in court today. Brenden Jacob Bennetts, 19, is charged with one count each of murder and interfering with a corpse. The 16-year-old went missing in Gatton on August 14. A widespread search for her was conducted but two weeks later her body was found in a paddock. Bennetts is expected to appear at Ipswich Magistrates Court today. 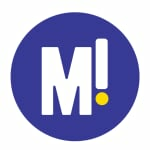 1000 schools have been closed. 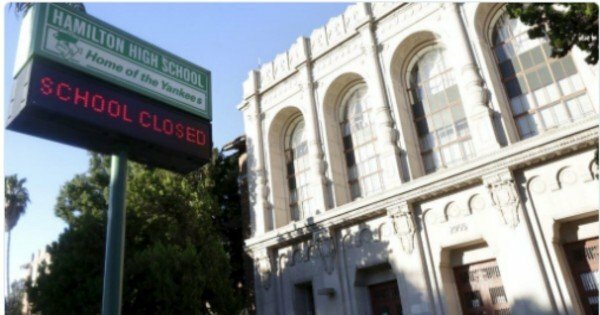 The entire school district of Los Angeles, with more than 666,000 students and 1000 schools has been shut down with classes cancelled after police said was a “rare” threat. The”electronic threat” received early Tuesday prompted the decision, school district police Chief Steve Zipperman said. CNN reports that District superintendent Ramon Cortines told media the “message” referred to backpacks and “other packages.” He said many schools were threatened, though none by name. The scare comes admit increased security after the massacre in San Bernardo. The superintendent said all schools will be searched thoroughly. Anyone at a school building when the notice went out around 7 a.m. Tuesday was asked to go home. For more read this post here. 4. Fashion designer who groped models avoids jail. A bogus NSW-based “fashion designer” who pleaded guilty to assaulting four bikini models has avoided jail. Shardie “Shardz” Houranis pleaded guilty to 14 indecent assault charges against four of his models at Waverley Local Court. He promised to pay these young women for photo shoots or to give them high-quality bikinis for their work. But instead of reimbursing them, he forced the women into swimsuits that were too small, mocked their looks, groped their bodies and became angry when they rejected his advances. Hourani, now a construction worker, received an 18-month suspended sentence. Magistrate Clare Farnam said the offences were very serious and acknowledged while Hourani had pleaded guilty he was not remorseful. “No doubt they [his victims] are vulnerable in that they wished to obtain work in what is a competitive industry and may have been prepared to perhaps tolerate behaviour that was clearly entirely inappropriate,” she said. 5. Man charged after sailing away with three kids. 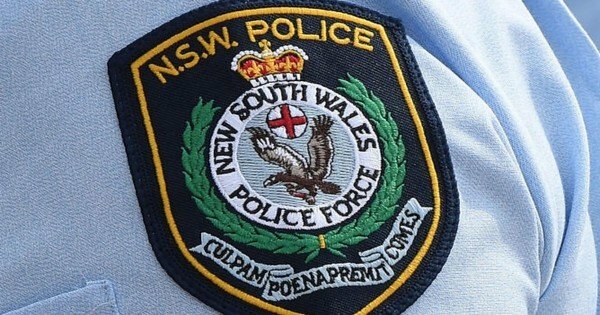 A NSW man has been charged after allegedly stealing a yacht and taking to the seas with his two sons and two other children. The 42-year-old man had left his home after an argument with his partner and went missing overnight Tuesday. Police located him with his sons, aged eight and 12, as well as a 14-year-old girl and a 12-year-old boy who are family friends north of Batemans Bay a day after they began looking for them. 6. Changes to government funded maternity leave may see mums allowed to top up from government scheme. News Limited reports that new mothers receiving paid maternity leave from their employer may be able to “top up” from the taxpayer-funded scheme to ensure they get 18 weeks’ pay under a compromised federal paid parental leave deal floated to Senate crossbenchers. The changes, which could be announced today will see parents paid for 18 weeks’ leave – at their full wage for as long as their employer provides it, and at the minimum wage by the government for any period after that, up to 18 weeks reports The Australian. Social Services Minister Christian Porter is believed to be working on major changes to the scheme reports News Limited. “A longstanding unfairness in the paid parental leave test has meant women in professions that don’t allow people to work during the later stages of pregnancy because of safety issues have missed out on PPL,’’ Mr Porter said. “Women in what have been often male-dominated industries face enough challenges as it is without being unfairly disadvantaged because of a clunky, old-fashioned test for paid parental leave” he said. 7. Girls outshine boys in NSW HSC results. Girls have outdone the boys in subjects traditionally dominated by males in this year’s HSC as well as making a clean sweep of the history and English courses. 82 girls and 34 boys were recognised for topping the state in at least one of their subjects. One student, Grace Parker from the Dubbo Christian School came equal first in automotive examination with Jack Cutler from the New England Institute in Tamworth. She told the ABC that she had to fight to get into the class. “My school, they weren’t too sure about the subject and it was a bit hard to get me enrolled in the subject at first,” she said. 8. 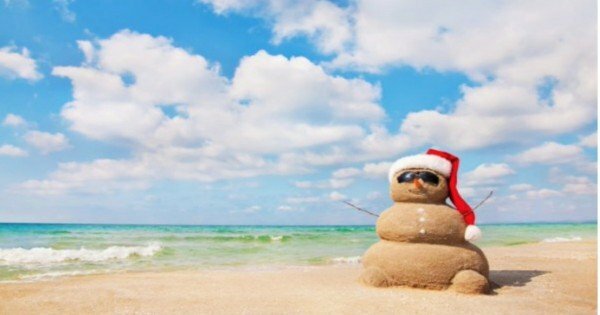 Christmas weather forecast looks fine – if you are in Adelaide or Perth. A perfect Christmas Day, for those in Adelaide. For the rest of us… it’s another grey Christmas by the looks of things. Nine days till the big day and the weather forecasters have predicted that Sydney and Canberra have a moderate chance to see mid-30 degree temperatures during the day but storms and rain in the afternoon. Melbourne is looking at a partly cloudy day with afternoon showers. Brisbane is looking at a 21C to 30C day mostly cloudy with showers and a chance of thunderstorms. Perth’s Christmas day will be in the low 30s with fresh winds and mostly sunny conditions. Hobart will be cooler than anywhere else in the country, with temperatures expected to range between 14 and 24 degrees and Darwin will have a 31-degree day with cloudy weather.